Social. Okay, social media, got it. Listening. Hmm… so it’s okay to just sit and listen? Amid all the social media chatter today, with 500 million daily messages sent on Twitter alone, people are undoubtedly engaging in conversations related to your brand. Are you listening, and if so, how are you responding? Social media has provided people with the ability to voice their opinion on companies, brands, people – in short, anything and anyone. What people say can be good or bad, but that alone doesn’t determine your social media success. The way your company listens and engages with these social media posts is what dictates how those opinions influence your online presence and brand sentiment. Social media listening goes beyond ‘listening’ – it’s really about monitoring and managing a brand. Every company strategizes to create content that is engaging, well-written and unique but if you’re not listening to the social conversations happening around it, then you might as well bury your head in the sand! You may think that you know what your audience is saying and are willing to spend thousands of dollars researching on what you think your audience wants to hear. But, finding the conversations around what you think is like trying to find a needle in a haystack. And if you can’t track the buzz, where does your brand go next? Listening, on the other hand, does the research for you. I’ve finally heard what they’ve got to say. So I’ll just fix it or respond. Whatever you hear doesn’t always warrant an immediate response. Social media listening allows you to hear what’s going on and gives you time to strategize before responding in a timely manner. It’s good practice to anticipate things that could relate to or affect your brand. And conversations don’t always have to be bad ones; it could direct you to do something you weren’t thinking about. So if there’s an event happening which your brand should be a part of, jump at the opportunity. Start with an event hashtag or by simply retweeting relevant content. At the end of the day, it’s all about reputation management and playing your cards right. Ah..I think I finally get it! Now how do I actually ‘listen socially’? There’s no scientific way to tackle social media listening –but there are tools you can use (look out for Part 2 of our blog on Social Media Listening). 1. What is your brand reputation? Find out what defines your brand and how you want it to be defined. Monitor the names of your company, CEO, and product(s). 2. What is the reputation of your competitors? Monitoring your competitors’ conversations with their own communities will help you understand their positioning, and give you insight into their marketing strategy. 3. Who’s talking, how are they saying it (outlet of communication) and who is leading the conversation? Get a feel of who’s talking about you and discover the format of communication and style of content being shared. This will help shape your social channel strategy and help you craft channel-specific content that works. Also pick out the conversations that matter. 4. How should you strategize? Since you now know what’s going around, write custom content that resonates in the hearts of your followers and your to-be followers. Develop important relationships and act as a catalyst to connect to each other. Add links and other measurables. Use free and freemium (or perhaps even paid) social listening tools out there that deliver both comprehensive data and insights associated with that data. 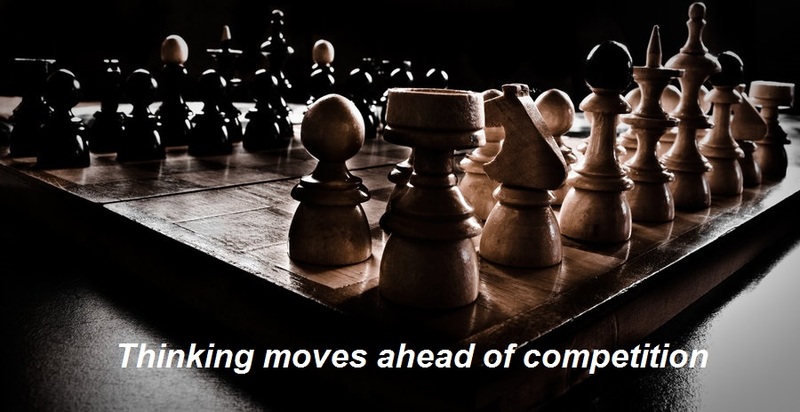 If your strategy isn’t working, find out why and rework it. Remember, social conversations depend on social networks. It’s hard to have eyes and ears everywhere, and it’s overwhelming to be listening and monitoring 24/7. While listening, don’t discount anything. If something seems overwhelmingly popular but irrelevant to a brand, monitor it. Find out why before you look the other way. A well thought out and executed PR campaign is critical to successfully launching a product or business. Do it well and a PR program can help create awareness, drive initial sales and create lasting excitement. Do it wrong and you waste a whole lot of money, and risk damaging a product’s reputation for success. Case in Point: Abercrombie & Fitch made the mistake of insulting their market when they attacked Jersey Shore’s “The Situation.” What’s even worse – they wanted the star of the hit reality series to stop wearing their clothes! Really! If you’ve ever walked past an A&F store, then there is no mistaking as to who shops there – cool cats and party girls, aka the MTV generation. While A&F thought they were being clever by insulting the beloved TV star, it turned out to be a huge PR disaster. A&F’s stock fell 15% as a result of the PR stunt, proving that biting off the hands that feed you is not very smart. We all know that publicity is what a company receives when something notable happens. When the event is good, the publicity usually attracts new clients and gives the company something to brag about. On the other hand, there’s also the dreaded negative publicity. Unlike the positive feeling brought about by good publicity, negative publicity can leave the company and the public feeling badly. Most of the time, bad publicity is unintentional. A company does something they think is positive and end up getting a bad reaction. Other times, the negative publicity comes from a competitor who makes an effort to create bad news about you or your business. When that happens, don’t fret. Take a deep breath. Know that like everything else in our lives, there are ways to turn the negativity around. Turn a bad customer review into something positive by creating a response strategy. Whenever possible, reach out to the customer first, address the issue, and work towards an amicable solution. A bad review is a great opportunity to internalize important customer feedback and develop your business. Stay on top! Look out for trends in the bad press, so that you’re always prepared should (touch wood! ), something bad happen to you or your business. Where possible, address the bad press and share your sincere attempts to remedy the issue. We all make mistakes – so own up and take responsibility. It’s what you do after the mistake that matters. Businesses that project an image of integrity and honesty are usually businesses consumers want to support. When things go wrong, a day is too long. Be aware of the phenomenal speed at which information spreads, especially via social networking sites, and take quick action to counter bad publicity. For example, if there’s a glitch in the software you’re launching, don’t wait for user complaints to spread virally. Instead use online forums to alert them and explain what you are doing to address the problem. It shows customers, suppliers and other stakeholders that you are taking your responsibilities seriously and it also helps to defuse a situation before it gets too out of hand. Don’t be afraid to counteract inaccuracies. For example, if you are aware of a Twitter campaign against you, tweet your version of the story. Contact editors if incorrect information has been published, and use your own website and social media presence to dispel misconceptions. Easier said than done, you might say. But as PR practitioners, we know that it is essential to keep a level head in the face of a firestorm. In case of a bad online review, sometimes we need to take a step back and remind ourselves that we can’t please everyone all of the time. Take the opportunity instead to fix something that may be wrong with the business. Bad PR doesn’t have to stick in everyone’s minds; it can be replaced by positive thoughts of an organization. Take action and go on a positive press campaign. Issue a press release about the good things your company is doing, for example, supporting a charitable cause. Go a step further – get your happy customers to go online and write reviews and before you know it, people will start thinking positively about your company again. While it may seem impossible to get over negative publicity, there are ways to turn things around and manage the situation. The first step is not to panic. Figure out the source of the negativity and see if you can diffuse the situation. If it’s serious enough, you may need to consult with your legal team. Once you’ve started to quell the flames, it’s time to rebuild your image and get the public to forget. Eventually, a new scandal or interesting story will emerge that makes your bad publicity old news. Once that happens, focus on moving forward and preventing negative publicity in the future. The benefits of incorporating market research into communications strategies have been well documented, but market research deployed without well-defined goals produces little result. Fewer areas of communications have more clearly defined targets than PR: we are looking specifically for the number of press hits, positive mentions, and people influenced. With the evolving market conditions as of late, throw in customer engagement into the mix as well! No matter the case or time in space, PR and market research are a perfect fit. Properly conducted market research can provide invaluable insights into the behaviour, knowledge, and perception of consumers, stakeholders, and external elements that influence our target markets. The results of market research, if used smartly, can be instrumental in defining new communication approaches, writing messaging and strengthening a business’ public relations. Choose your target market intelligently and don’t make the mistake of merely taking a stab in the dark and aiming for quantity over quality. 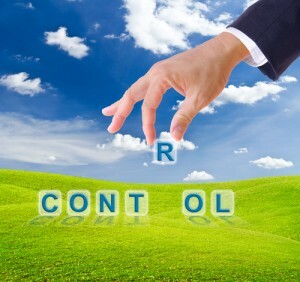 By conducting well thought out research into consumer lifestyles, preferences, habits and behaviours (this list is not exhaustive and can be even more detailed or meticulous – the more refined, the better) to ascertain the right target market for your service or product, a good portion of your battle is won. Once this first step is accomplished, it would then be easier to suss out customer sensitivities as well. With the business arena being the global place that it is today, more thought and attention has to be given to cultural and societal preferences. This has to be taken note of even within the same country, and even more so if the country is a boiling pot of cultures which is pretty much the most nations in the world these days! To be mindful of your customers, both as individuals and as a community at large, would be to assure the effectiveness and stronghold of your PR campaign. Just as important is to study what the market you intend to dabble in is missing. Identify businesses similar to your own and investigate the strategies they have implemented. 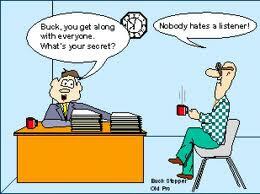 This would not be an easy step because, needless to say, competitors would not readily dish out their secrets! So a lot of independent analysis, observation and in depth studies would be involved. Even so, information you have gathered may not be the most accurate! However, this step should still not be taken for granted. Based on the market needs and what you have learnt from this form of research, you can now consider how you can fill the missing links – providing a formative step on determining the basis of your own PR campaign. 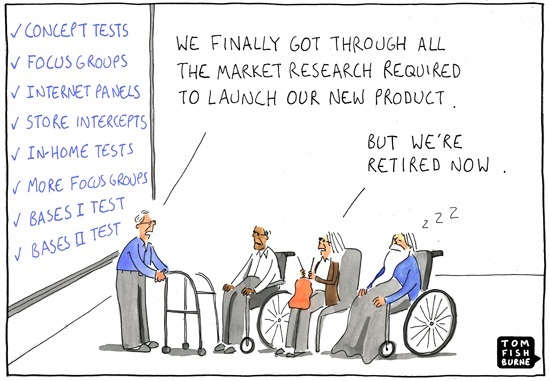 Thereafter, you can finally lay out your market research plan. Based on the information you found in the previous endeavours, plan organized activities that are designed to get more specific information that you would require to make your PR campaign as effective and engaging as possible. Read up on existing published information, interview current customers or analyze consumer behaviour in relation to the market you are going to pursue. For instance, if you have discovered that customers are missing a sense of personal relationships and finesse in your industry, you might organize a focus group or survey, or perhaps even both in tandem for a more thorough analysis, to learn more. It is important to remember that research is cyclical and required not just before launching a PR campaign. It is just as crucial to follow up. Given the power shift from the media being transferred onto the customers, privy is now placed on customer engagement. Research has to be done to gauge and determine audience reception, through means of evaluating responses via surveys or interviews or market returns, and the inherent effectiveness of the PR campaign’s intended outcome. This form of research could be one of the hardest as effectiveness has many variables and seeking response from your audience could prove difficult as well. However, it is worth putting in effort at this stage just when it seems all your hard work is done because from there, the necessary steps can be taken to ensure that the PR campaign is working as intended. And if not, amendments or improvements can be made to achieve the desired outcome and reach greater heights.